To help counteract the stress of daily life, we need healthy magnesium levels to balance out the calcium in our bodies. While calcium makes muscles contract, magnesium lets them relax. This interplay is what allows us to combat not only stress but also muscle cramping, fatigue, constipation, insomnia, anxiety and depression. Unfortunately, about 80 percent of people don’t get enough magnesium through diet alone. That’s why many adults use magnesium supplementation to restore balance. But what about kids? Between academic, social and other pressures, kids are no strangers to stress—and many of them struggle with stress-induced sleep as well as digestive and emotional disorders. The FNB has no established dosage recommendations for magnesium supplements in children under 12 months; so you’ll want to work extra closely with a doctor before giving magnesium to an infant. And remember: if you decide to give your child supplemental magnesium, it needs to be balanced with calcium. “Magnesium can be safely supplemented in kids at a 1:2 ratio with calcium—for example, 125 mg of magnesium and 250 mg of calcium,” says Evans. Diet is another important factor to consider when deciding how much magnesium to give your kids. “When thinking about magnesium dosage, you’ll want to consider your child’s diet first,” Evans points out. “If they have a lot of dairy in their diet, they’re probably getting quite a bit of calcium; so the 1:2 ratio should be adjusted accordingly. Oxide. Citrate. Malate. Glycinate. Chelate. The list goes on. Magnesium supplements come in a variety of forms. They also come in different formats—pills, drinkable powders and creams. 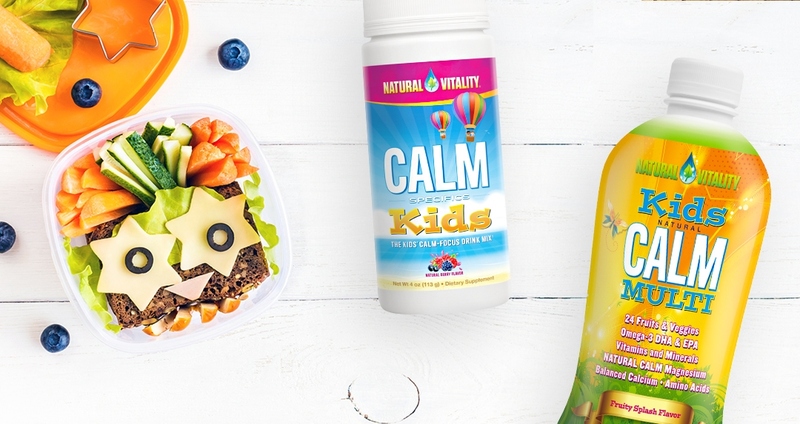 Kids Natural Calm Multi is made with magnesium citrate.